Durable uPVC sliding patio doors are one of the top-selling products from Wilkins Windows, the industry leader in window and door manufacturing industry in Australia. With 19 years worth of experience and knowledge, the family-owned and operated company channels their expertise in the design, production and installation of premium door and windows products for both residential and commercial applications. With a gold standard of quality service, Wilkins Windows uses only top-of-the-line materials for their entire product range. The team sources uPVC from German-based experts of polymer-based innovations and systems, Rehau. Rehau's propriety extrusion process generates maximum performance for all uPVC products. The process gives high insulating power, improved durability and rigidity, as well as cost and energy efficiency. Wilkins Windows harnesses these features to provide high-performing durable uPVC sliding patio doors that offer aesthetic value with superior strength and convenience. The door assemblies are as fashionable as they are functional. uPVC has an inherent strength, making it invulnerable to natural elements like frost, rain, salt air or high-wind situations, as well as the demanding effects of pollution. 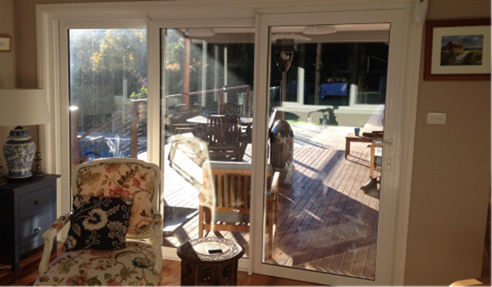 uPVC sliding patio doors are reinforced with corrosion-resistant steel to improve strength and rigidity. uPVC sliding doors with double glazing provide energy and cost efficiency by decreasing the outwards transfer of heat upon opening the sliding door and by providing not just an effective thermal barrier, but also noise control. All double glazed uPVC doors and windows from Wilkins Windows are rated 45 dBA and accredited by the Sydney and Adelaide Aircraft Noise Projects. Hence, providing maximum noise reduction of up to 80%. To top it all, the frames of double glazed uPVC sliding patio doors are virtually burglar-proof and can withstand long-term wear. Wilkins Windows durable uPVC sliding patio doors ensure longevity in service, safety, convenience and functionality for maximum user experience. 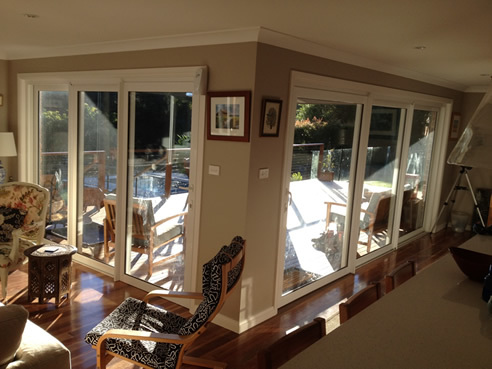 If you are looking for quality and durable uPVC sliding patio doors, call Wilkins Windows at 02 9833 2993 or visit www.wilkinswindows.com.au.